While he played countless movie roles, actor Edward Herrmann was best known for the seven years he spent on the popular TV series "Gilmore Girls." Herrmann has lost his long battle with brain cancer at the age of 71. In the 1980s, Herrmann played the mild-mannered and moderate single man who revealed as the leader of a group of vampires in "The Lost Boys" in 1987. LOS ANGELES, CA (Catholic Online) - "Besides being an accomplished actor, (Herrmann) was a true gentleman and a scholar, as well as being an incredibly kind and decent man," manager Robbie Kass told reporters. "He will be sorely missed." Best known for his role as Richard Gilmore on the popular mother-daughter "dra-medy," Herrmann appeared throughout "Gilmore Girls" seven-season run. 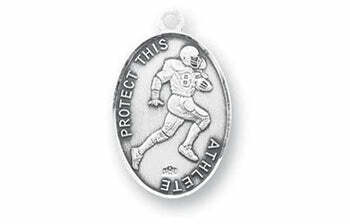 St. Vitus, the patron saint of actors, is honored in this beautiful pendant. Actor Edward Herrmann died while in intensive care, receiving treatment for three-and-a-half weeks before he passed away, surrounded by family members. Herrmann died while in intensive care, receiving treatment for three-and-a-half weeks before he passed away, surrounded by family members. "He was full of knowledge and kindness and goodness. 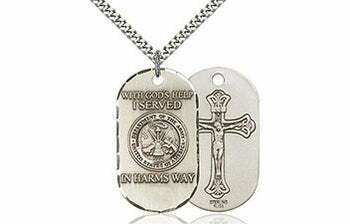 He always wanted to share the great and beautiful things in life," his son Rory said in a statement. Lauren Graham who played Herrmann's onscreen daughter, Lorelai Gilmore, remembered the actor as the "Kindest, classiest, most talented man. It was a devastating blow to lose him. Ed Herrmann's combination of pure charisma plus his distinctive voice lit up any room he entered. He had a gentlemanly manner, a wicked sense of humor, and a sharp wit. He was well-read, interesting, and just plain fun to be around." Onscreen wife, Kelly Bishop issued a statement revealing she was "somewhat stunned" by Herrmann's death after only learning he was ill a few short weeks ago. "I think everyone who knew or worked with Ed found him to be absolutely delightful. Everything looks a little dim, as if the lights went down." 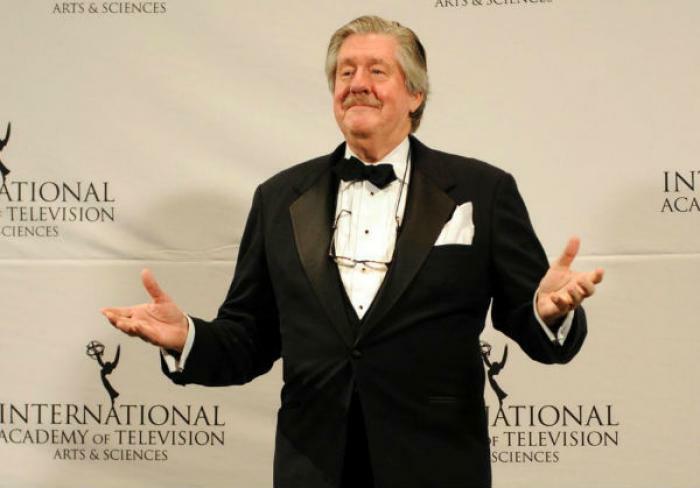 Edward Herrmann won an Emmy for his portrayal of President Franklin D. Roosevelt and the late actor considered this part to be his finest role. Herrmann also appeared in a series of classic motion pictures. One of Herrmann's earlier works was playing the idle piano playing Ewing Klipspringer in the 1974 adaption of "The Great Gatsby" alongside cinematic great, Robert Redford. Help boost cancer awareness -- January is Health Month. Edward Herrmann played Franklin D. Roosevelt yet again in the original movie adaption of "Annie."